The annual Sturgis Buffalo Chip’s® Biker Belles, presented by Harley Davidson®, will be bolstered this year by a generous auction donation from famed artist, David Uhl. Uhl’s painting, “Jessi,” is one of the most popular of his "Women of Harley" series and is valued at $4,850. In addition to the auction, the Biker Belles symposium. “Ride On,” will feature a superstar lineup of industry panelists including filmmaker, Michelle Carpenter, who will open the symposium with a clip from her new documentary about women riders, “Driven to Ride.” Andie Gaskins, Cat Hammes, Audrey Nesbitt, Diva Amy Skaling, Kathy Tolleson and others will also serve on the panel. Biker Belles participants will be riding high as they take to the road on their sixth annual ride, Tues., Aug. 5. 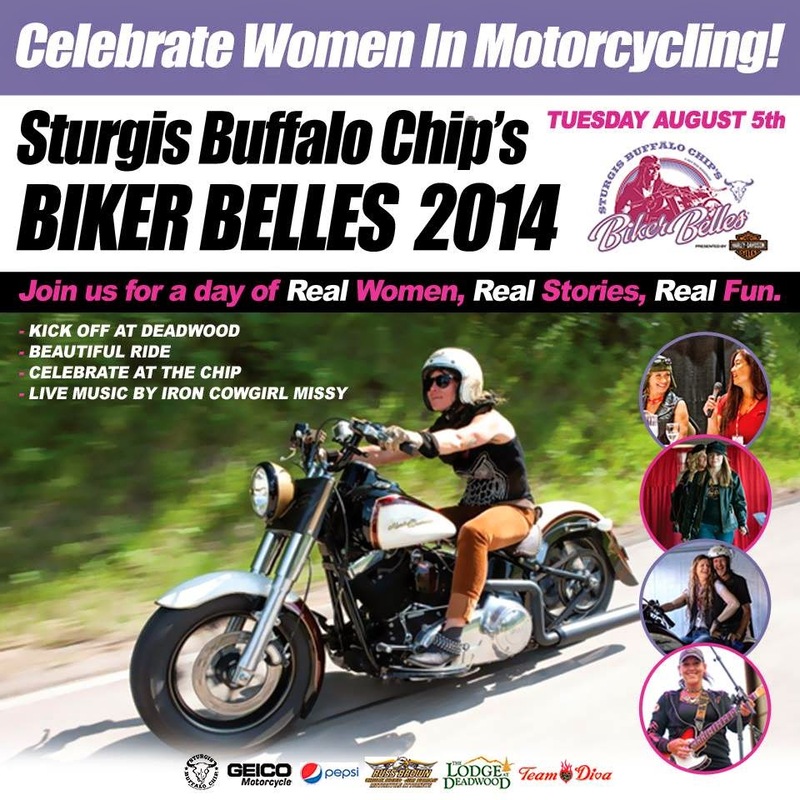 The signature Buffalo Chip event was created to raise funds for South Dakota charities, and it does so by bringing together women, their families and friends to celebrate the role women play in shaping the culture, sport, art and history of motorcycling. The Lodge at Deadwood will roll out the red carpet for the Biker Belles kick-off. Riders will register, pick up their t-shirt and get ready for a special luncheon and symposium beginning at 11 a.m. Guests of the ride will gain inspiration and have the opportunity to meet such honorary guests as Gloria Struck and Cookie Crum. Participants may also visit The Comfort Zone by Team Diva to discover and experience new beauty care, fashion ware and ride gear made specifically for women riders.